Music of such eclecticism and diversity has been released under Mickey Hart’s name that it’s certainly no safe assumption that any particular Deadhead will appreciate a given release. 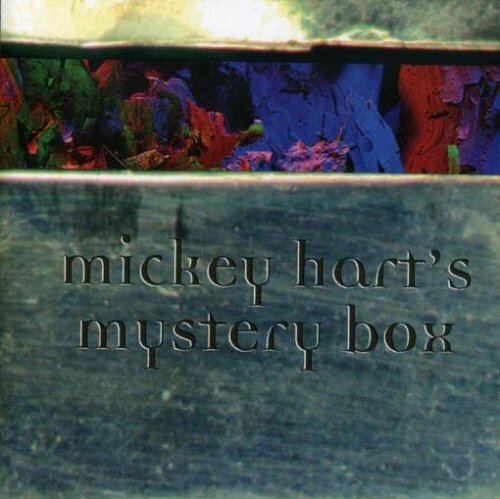 I’d say that probably holds true here, although the 1996 Mystery Box album is a collaboration with long-time Grateful Dead lyricist Robert Hunter, and Bob Weir appears on at least one track (not this one). Percussionists Zakir Hussain and Giovanni Hidalgo are featured, as well as the lilting vocals of British a capella group the Mint Juleps. I think this track’s a beauty. Just don’t expect American Beauty.